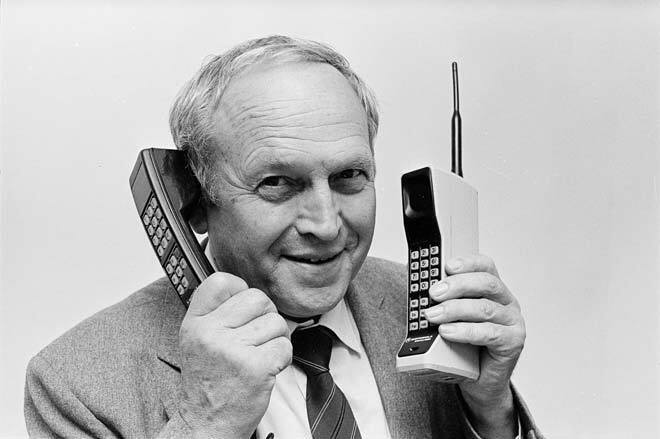 The first mobile phones, shown here by Post Office engineer Harry Shilling in March 1985, used analog technology. Analog is the electronic transmission of sound using signals of varying frequency carried by an electromagnetic current. Digital, or digital and analog combined, quickly became standard mobile phone technology.